The Butterfly Effect is an interactive, 90 minute, workshop designed to help youth experience positive emotional wellness. April 30, 2019 - Online ZOOM broadcast to PACeS online school students. Now scheduling for Fall 2019 and Winter 2020. Pathways is a one day a week, 10-part workshop that will help youth identify and correct the lifestyle factors that cause or worsen depression and anxiety. We release Dialogues videos typically once a month. To view previous broadcasts and to receive new broadcast notifications, like us on Facebook: @ResilientHopeful. Have questions or comments? Join us on Live. Turning Points is a one-day conference, interactive and practical, where we combine our signature workshop, The Butterfly Effect with relevant break out sessions led by community experts on select topics. Our next Turning Points conference will be in 2020. 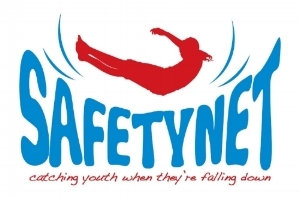 Safetynet is an interactive and practical 3 hour workshop to help parents and caregivers provide healthy and healing responses to youth and young adults who are experiencing emotional distress and mental illness.